Persian Damsel - A typical Kerala village scene of nineteenth century. 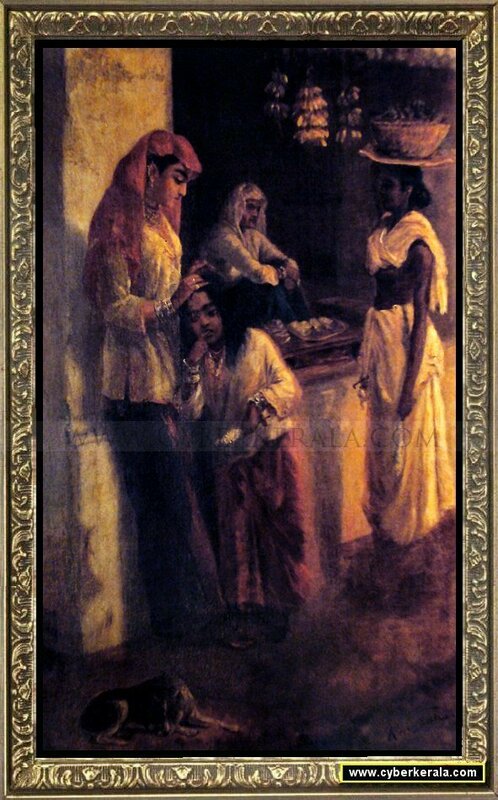 Oil painting on canvas by Raja Ravi Varma - Collection of Dr. M.A. Chidambaram, Chennai, Tamilnadu.